It is a known fact that mechanical keyboards are generally way more expensive compared to rubber dome or membrane based keyboards. Mechanical keyboards are the real deal and they do make a lot of difference in gaming as well as productivity. If you have used a mechanical keyboard before then most probably won’t go with the membrane based keyboards again. Mechanical keyboards do cost a more but they also last very long. If you are a gamer or a programmer, content writer who spends most of the time in typing then getting a mechanical keyboard is a right decision. You may find Chinese branded mechanical keyboards under 50 dollars that come with Cherry MX Clone switches that are generally inferior in quality compared to genuine Cherry MX switches. These Chinese mechanical switches are not that reliable and do not have the same feel of a genuine Cherry MX switch. I have had experiences with Cherry MX clone switches but after sometime most of them develop key chatter (multiple key register problem) which is very annoying and frustrating especially when typing. Generally mechanical keyboards with Cherry MX switches costs above 100 dollars but there are some Cherry MX mechanical keyboards that you can find under 100 dollars. Also, when you are spending that much of money then it is wiser to invest in a keyboard with genuine Cherry MX switches rather than with Chinese Cherry MX clones. 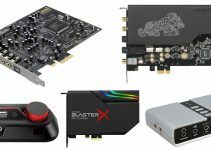 So, here in this post I am going to list down the best mechanical keyboards under 100 dollars with genuine Cherry MX switches and can be used for both gaming and work. Important Note: Cherry MX Blue switches have tactile bump and audible click sound as feedback and are best for typing. Cherry MX Red switches are linear in operation and do not have tactile bump or audible feedback and are best for high speed gaming. Cherry MX Brown switch is a hybrid of both Red and Blue switches. They are softer than blues, are non-clicky but have tactile bump or feedback and are good for both typing and gaming. Here are best full-sized Cherry MX mechanical keyboards under 100 dollars. These sub 100-dollar mechanical keyboards are great for both typing and gaming. HyperX Alloy FPS is the one of the best budget mechanical keyboards under 100 dollars. This is a mechanical keyboard from Kingston and comes with genuine Cherry switches. It is available in Cherry MX blue, brown and red switches, and you can choose any one according to your requirements. Blue switches are best for typing, brown offers a great balance between typing and gaming, and red switches are best for gaming. The keyboard has great build quality and comes with a solid steel frame and metal backplate. It is built like a tank and is pretty heavy too. It is very compact and has got floating keys design. The keyboard comes with ABS keycaps and red LED backlit for illumination. You can change the LED lighting brightness and effects using the function (FN), which is also used to enable multimedia shortcuts. It is a great keyboard for FPS gaming as well for typing especially the blue and brown switch variants. It comes with 100% Anti-Ghosting and N-key rollover so that you don’t have to face any issues during gaming. The USB cable is braided and is detachable too. There is a USB pass-through port on the keyboard but it is meant for charging only and cannot be used for connectivity. A keycap puller and four WASD textured extra keys comes bundled with this keyboard. I personally own the Cherry MX Blue version of this keyboard and I am 100 percent satisfied with its quality and performance. Highly Recommended by me. This is a very special Cherry MX mechanical keyboard because it comes with PBT keycaps. It is almost impossible to find a genuine Cherry MX keyboard with PBT keycaps under 100 dollars but Cooler Master MasterKeys L is an exception. PBT keycaps are better in quality, durable, smudge proof, better to type on, have textured finish and are more expensive than the ABS keycaps which are used in most of the mechanical keyboards. However, PBT keycaps are on the brittle and for this Cooler Master has included 1.5mm thicker PBT keycaps in this keyboard for enhanced durability and longevity. This is a high-performance keyboard that is meant for business and heavy use environment. It comes with Cherry MX Blue / Brown / Red switches to suit your desired needs. One of the most important feature of this mechanical keyboard is that you can switch layouts to Dvorak, QWERTY, and Workman by using Function (FN) key with F1 / F2 / F3 without the need for any software. The keyboard can be used for gaming as well because it comes with N-Key Rollover, but lacks LED backlighting. Other features include MACROS and custom profiles. The build quality of this mechanical keyboard is pretty great and it comes with a detachable braided USB cable and keycap puller. So, if you want a high quality mechanical keyboard for typing or professional use then you should definitely get this one. Here we have another budget mechanical keyboard from Cooler Master which is Cooler Master Masterkeys Pro L White. This mechanical keyboard comes with genuine Cherry MX Blue / Brown / Red switches and White LED backlighting. 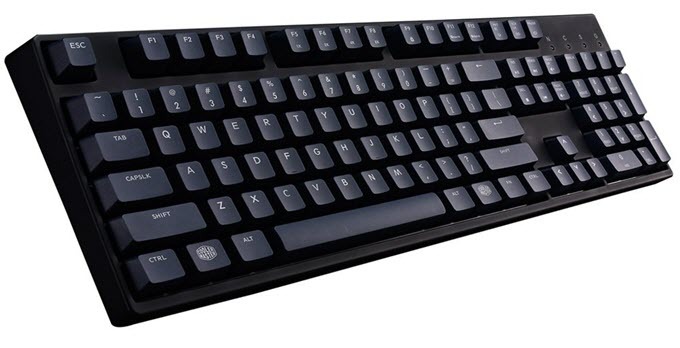 Unlike the above mentioned Cooler Master MasterKeys L keyboard this keyboard comes with ABS keycaps which are also of very good quality and have a soft feel to it. The keyboard has got minimalist design and the body is made of plastic. 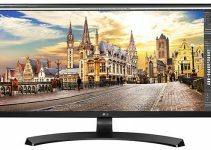 The white LED backlights looks very classy and you change its brightness and illumination effects without need for any software. It comes with Macro functionality and four profile keys (P1, P2, P3, P4) for setting or saving your custom profiles. 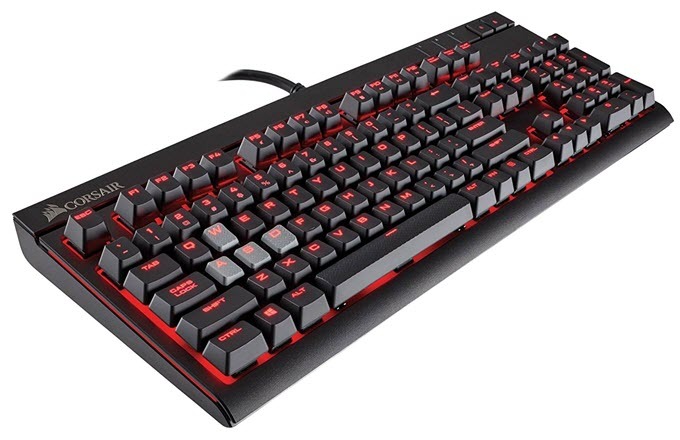 This is a very good keyboard for gaming and typing, and it comes with Anti-Ghosting N-Key Rollover to register multiple key-presses at the same time during gaming. The keyboard comes with a USB 2.0 detachable cable which is braided and a keycap puller. One thing it lacks is a USB passthrough which is not a major deal breaker if you ask me. This is my current keyboard and I have never been more satisfied with it. Overall a great budget mechanical keyboard with Cherry MX switches and white LED backlighting under 100 bucks. Highly Recommended by me. Corsair K70 LUX is a very popular budget mechanical keyboard that comes with many special features. You can get this mechanical keyboard at 100 dollars or a touch above it. The keyboard comes with Cherry MX Blue, Brown or Red switches with Red LED backlighting. The keyboard has floating keys design and is solidly built having aluminum construction. It has got Full Key (NKRO) with 100% Anti-Ghosting for gaming and comes bundled with FPS and MOBA Textured Keycap sets to enhance your gaming experience. The keycaps are made of ABS plastic that are of pretty good quality and have large readable fonts on it. This budget cherry mx mechanical keyboard comes with detachable soft-touch wrist rest to provide comfort during long gaming sessions or extended typing sessions. This is one keyboard in this list that comes with dedicated media keys / buttons and volume roller. It also has a fully functional USB pass-through port to which you can attach your gaming mouse or headset. You can also change the polling rate to 1ms, 2ms, 4ms or 8ms using a special switch on the side. The switch is also used to activate the BIOS mode to make the keyboard work with legacy setups such as Linux, Ubuntu or motherboards that do not support gaming keyboards. The keyboard supports Corsair CUE software for LED light effects customization. So, if you are in search for a complete and features rich mechanical keyboard at 100 dollars budget then I highly recommend this one. This is the simpler and cheaper variant of the above mentioned Corsair K70 LUX Mechanical Gaming Keyboard. However, the keyboard comes with all the necessary gaming features and packs a pretty good build quality. The keyboard features a traditional design and comes with Cherry MX Blue / Brown / Red / Clear switches with ABS keycaps Red LED backlighting. You can change the brightness and effects of the backlighting using Corsair CUE software. Corsair STRAFE Mechanical Gaming Keyboard comes with 100% anti-ghosting with 104 key rollover and you will get textured FPS and MOBA Keycap sets along with. It also a fully working USB passthrough port for hooking up your gaming mouse, pen drive or headset. The multimedia controls are clubbed with the function keys and can be accessed in conjunction with a special function key (FN). The keyboard officially supports Windows 10, Windows 8, or Windows 7 operating systems. Overall a no-nonsense budget mechanical gaming keyboard from Corsair that performs to its expectations. Logitech is very well known for its mice and keyboards but not so much for mechanical keyboards. But here we have a good value for money mechanical keyboard from it which is Logitech G610 Orion Brown. This keyboard has a classic traditional design and comes with Cherry MX Brown or Red switches. The keyboard features White LED backlighting that can be customized using Logitech Gaming Software. You can also assign macros on F1 – F12 keys using the logitech software. The keyboard can be used for gaming as it comes with 26-key rollover which I think is enough for any game where multiple key presses have to be registered at the same time. The keyboard can be adjusted to three angles from 0, 4, or 8 degrees for your ultimate comfort. It has got dedicated multimedia keys and volume roller which comes in very handy when watching movies or listening music. It supports Windows 10 or later, Windows 8.1, Windows 8 and Windows 7 operating system. So, if you are Logitech fan and looking for a budget mechanical keyboard then this should be in your collection. 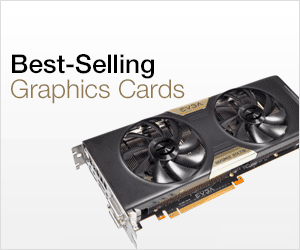 SteelSeries is well very known for its top quality and high-end gaming accessories, mainly keyboards and mice. 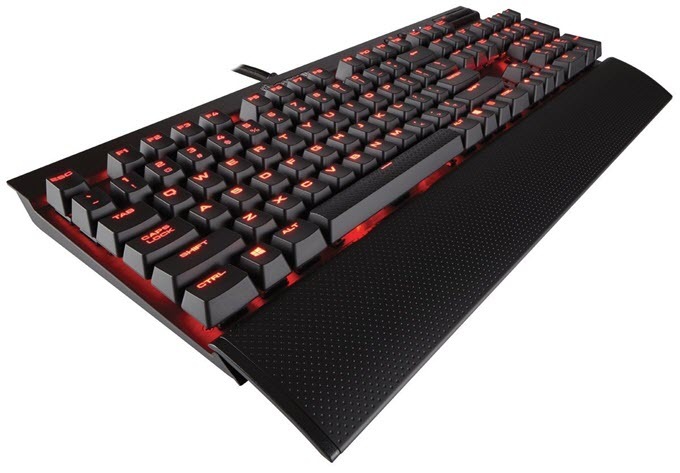 Here we have SteelSeries Apex M500 which is a solidly built mechanical keyboard with steel backplate and comes with original Cherry MX Red gaming switches. The keyboard features a minimalist basic design and for gaming it comes with Full Anti-Ghosting with 104 Key Rollover and Blue LED backlighting. You can customize the important aspects and keys of the keyboard using the SteelSeries Engine software. The media keys are not separate as they are joined with the function keys and they can be used in combination with the special SteelSeries function key. Overall a good mechanical keyboard that excels in quality but misses out on certain features such USB pass-through, braided cable, extra set of textured keys for fps gameplay. 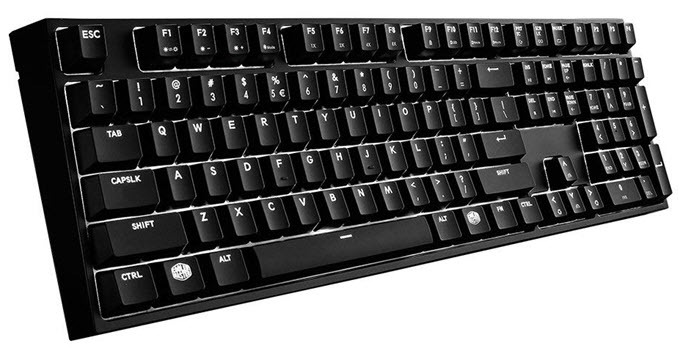 Rosewill RK-9300 BR is one of the cheapest mechanical keyboards under 100 dollars. This is a traditional looking keyboard and is bigger in size compared to all the keyboards mentioned above. This budget mechanical keyboard comes with Cherry MX Brown switches with ABS keycaps and blue LED backlighting. For best gaming experience the keyboard supports Full N-Key Rollover and 100% Anti-Ghosting. The build quality of the keyboard is pretty great and comes with aluminum metal backplate and features floating key design. 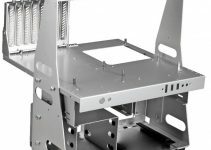 It also includes 3-way cable through or cable management at the bottom. The media controls are present on the Function keys and can be used in conjunction with the special function key (FN). This may not a keyboard for everyone’s liking but it does come with genuine Cherry MX switches and includes basic gaming features. So, if you are on a tight budget then this mechanical keyboard can fulfill your gaming and typing needs. Here are some other good budget mechanical keyboards that you can get under 100 dollars. At the end I would like to say that if you have budget of up to 100 dollars then you can get a very good mechanical keyboard with genuine Cherry MX switches. You can use this keyboard for gaming and for typing work to enhance your productivity. All of the above mentioned mechanical keyboards are far more durable than membrane keyboards and are built to last to a very long time. If you have any questions or doubts regarding these budget mechanical keyboards then do ask me by leaving a comment below. 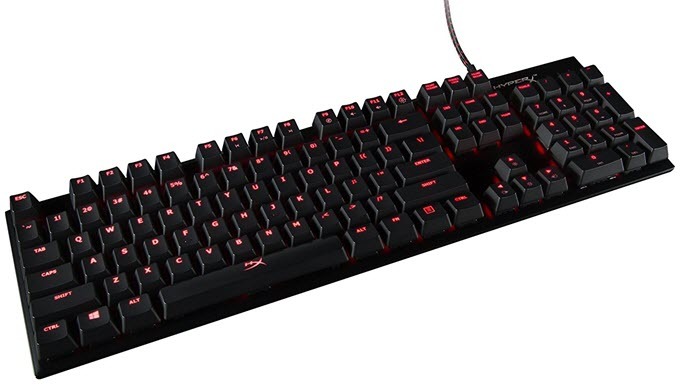 I am looking for a typing/gaming keyboard with the cherry MX brown switch need to be full size and it would be nice if it is not to heavy so I am able to just have it in my lab when I am casually surfing gaming . And most important I need to use it as a wireless keyboard because I am sitting up to 6 meters away from the 130 inch screen. You won’t find any wireless mechanical keyboards with cherry mx switches but if you want a good and reliable keyboard with cherry mx brown switch then i recommend Cooler Master Masterkeys Pro L White, and for wireless mouse i suggest Logitech M325.